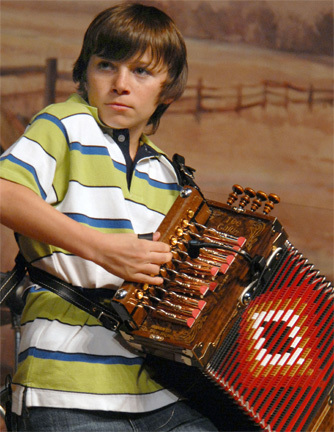 "Tee Cajun" depicts a young Cajun music artist who is developing a natural talent of playing the Cajun accordion. The image, as depicted is taken from a series of photos taken at the local Rendez-vous des Cajuns in southwestern Louisiana by LSUE associate professor David Simpson. This study in pen and ink techniques was completed in January 2008. 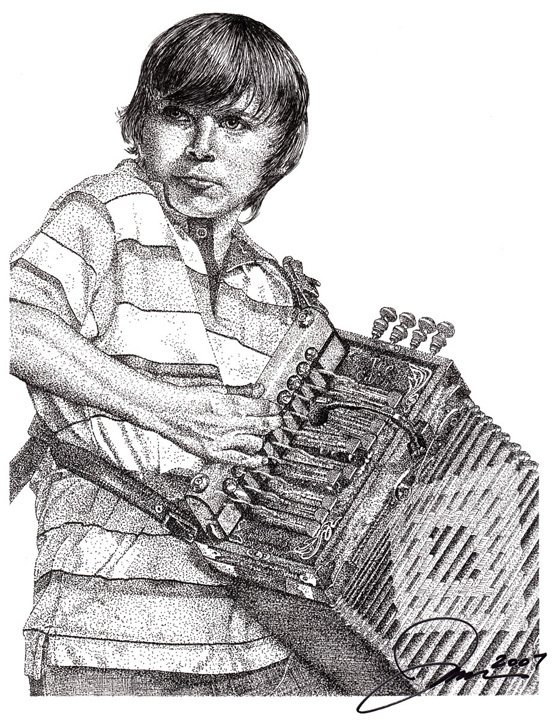 Extensive use of stippling effects combined with some line art was used to create a dramatic finished portrait of "Tee Cajun". The work took approximately 17 hours to complete and measures about 8 1/2 x 11 inches on an 11 x 14 background. The "Tee Cajun" photo used as a guide in completion of this artwork. This photo was taken by David Simpson, PHD, Associate Professor of English, LSUE.